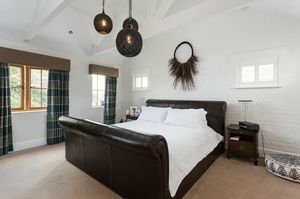 From its construction in 2005 on the site of a barn, this property was designed to make an impact. 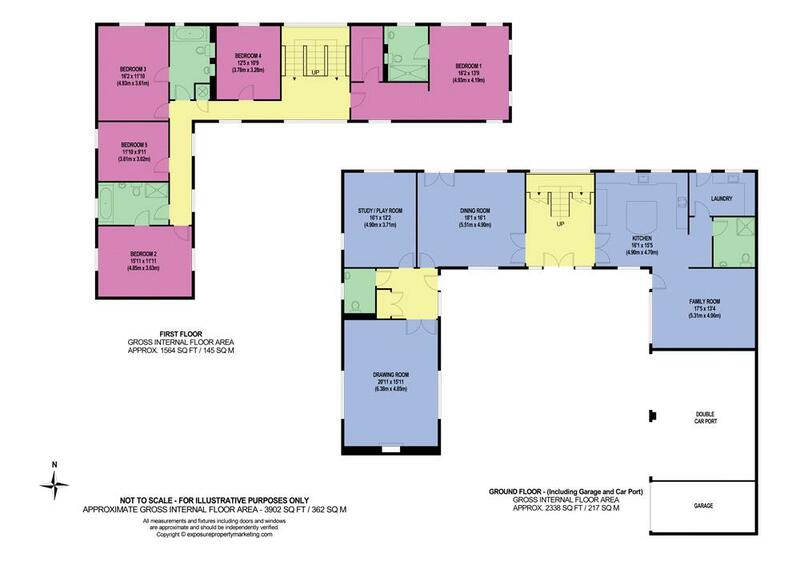 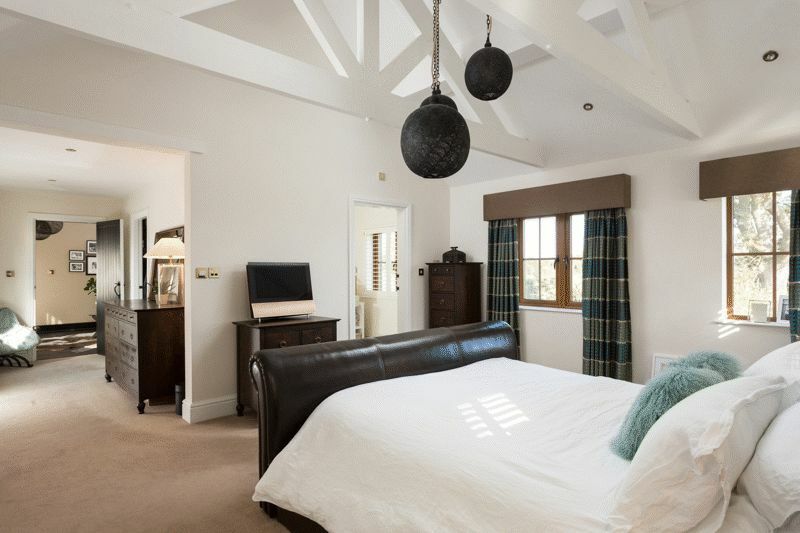 Its structure, layout and interiors most certainly will not disappoint the discerning buyer. 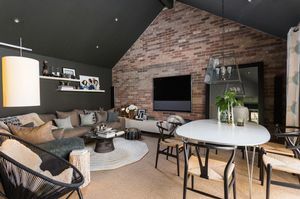 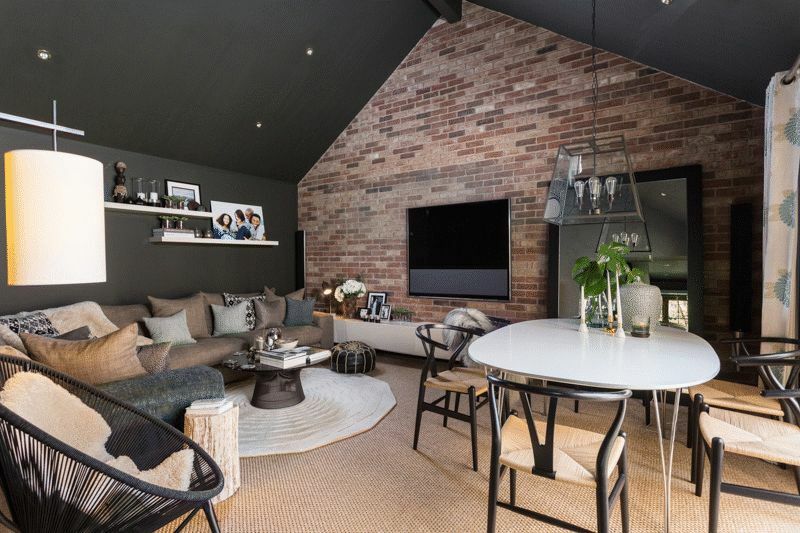 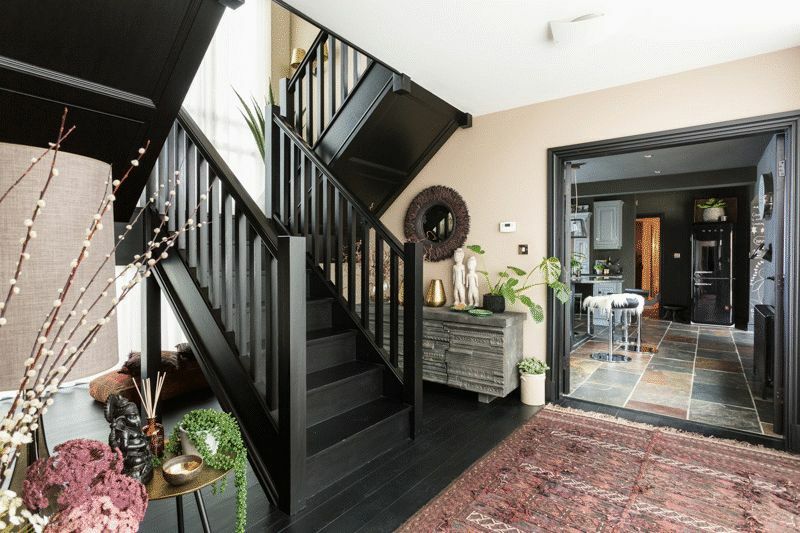 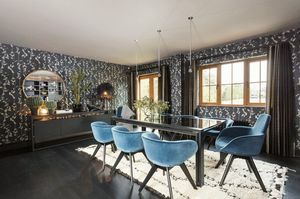 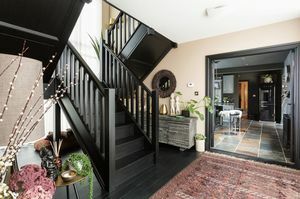 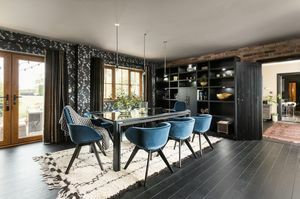 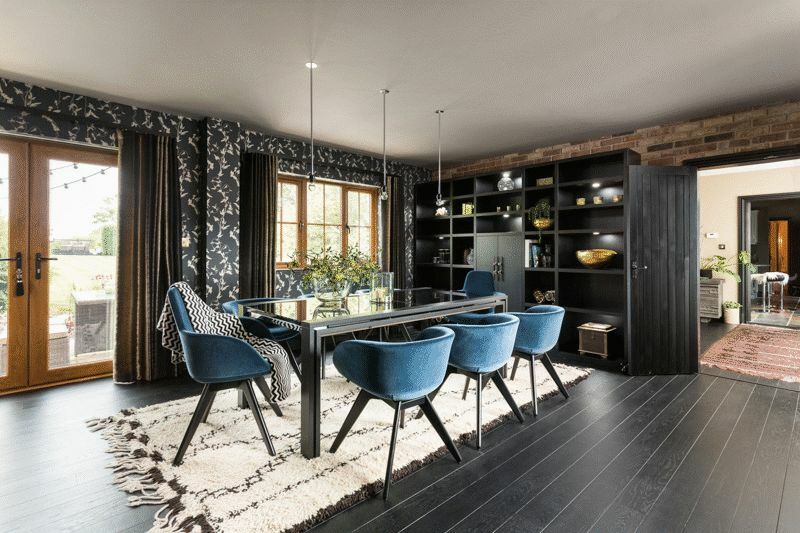 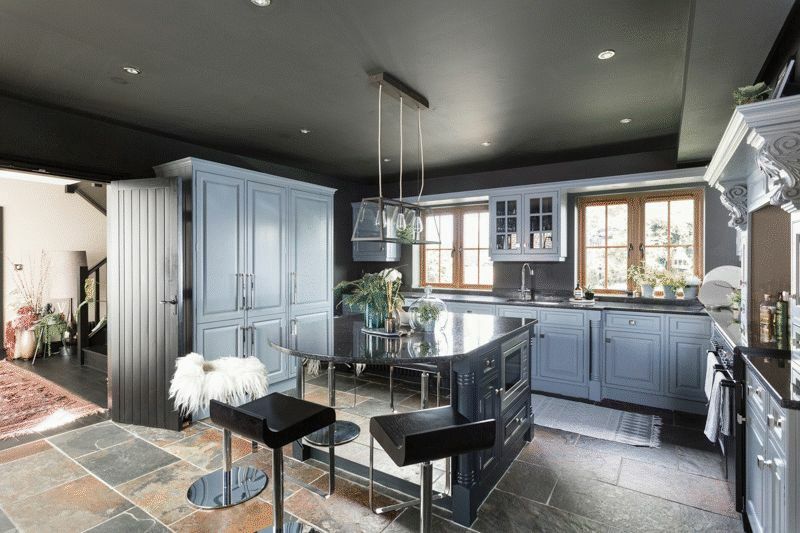 The Barn is a glorious, high specification home with fabulous, cutting edge interiors that combine ebony stained wood, polished plaster and dark hues with artful lighting and exposed ceiling trusses. This is a large house of generous proportions with rooms that are grandly linked by double doors to create light and open passage ways. 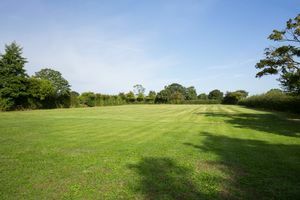 To the rear are extensive gardens and grounds. The property is accessed off Manor Farm Court, a shared private road off the main village street. 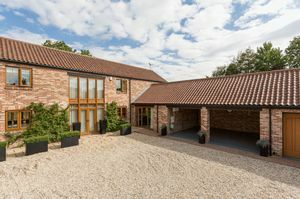 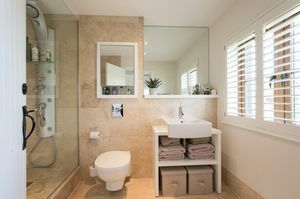 Electronically operated timber gates open to a large gravelled parking and turning courtyard area with access to a double car port with power and light, water supply and access hatch to loft storage. 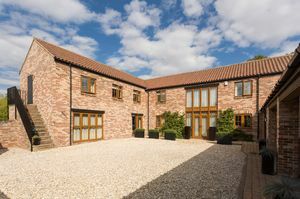 Alongside is a single garage with up and over door, also with power and light. 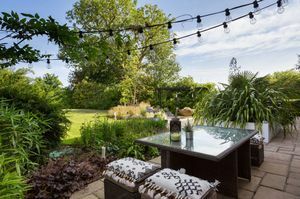 To the rear of the property is a shaped, flagged terrace fringed with deep beds, abundantly planted for year round colour and mulched. 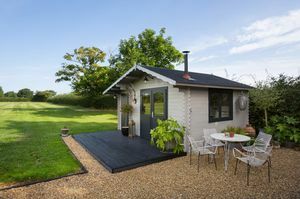 On the terrace is a pergola and plenty of space for garden furniture, BBQ equipment and outdoor dining. 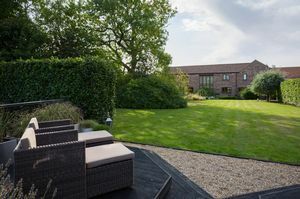 The main garden is laid to lawn with a high beech hedged boundary to the west and screened from the neighbour by shrubs and trees to the eastern boundary. 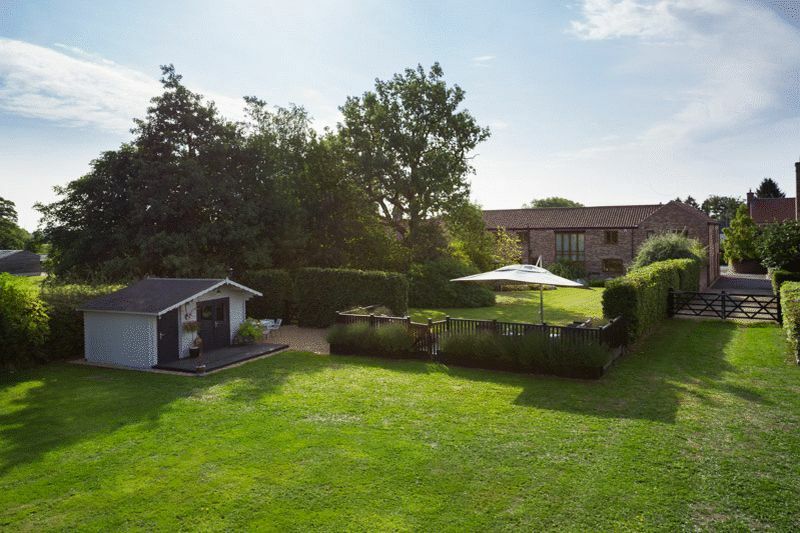 At the far end between the garden and the paddock is a raised decked terrace with timber balustrade. 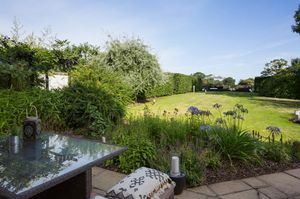 Here a gate gives access to the flat level paddock, bounded by post & rail fencing and hedging, and currently benefiting from an open arrangement with the neighbour. The paddock extends to one acre or thereabouts. 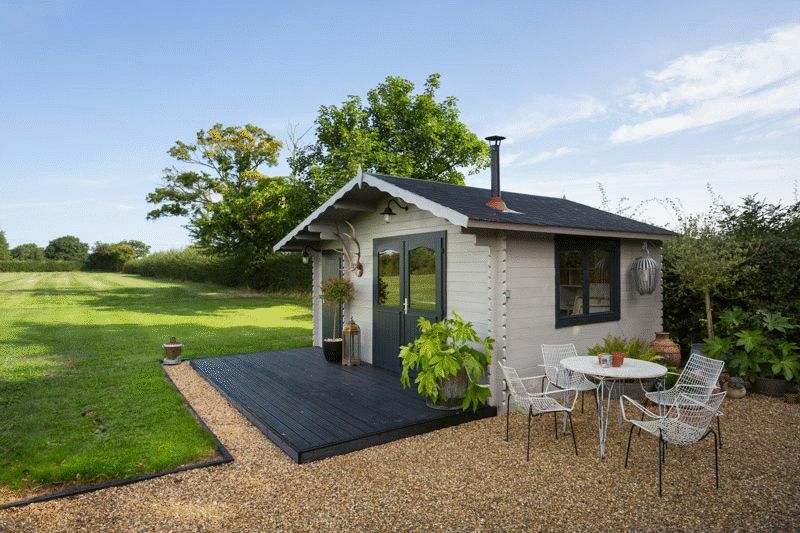 Here is a quietly situated, detached garden office with power, light and wood burning stove. Colton is a prosperous rural village that lies to the south of the A64 trunk road between York and Leeds. 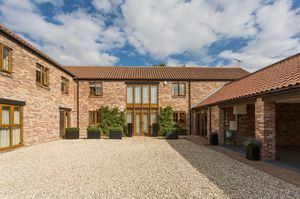 The village has a superb public house and farmshop, with a wider range of facilities available in York. 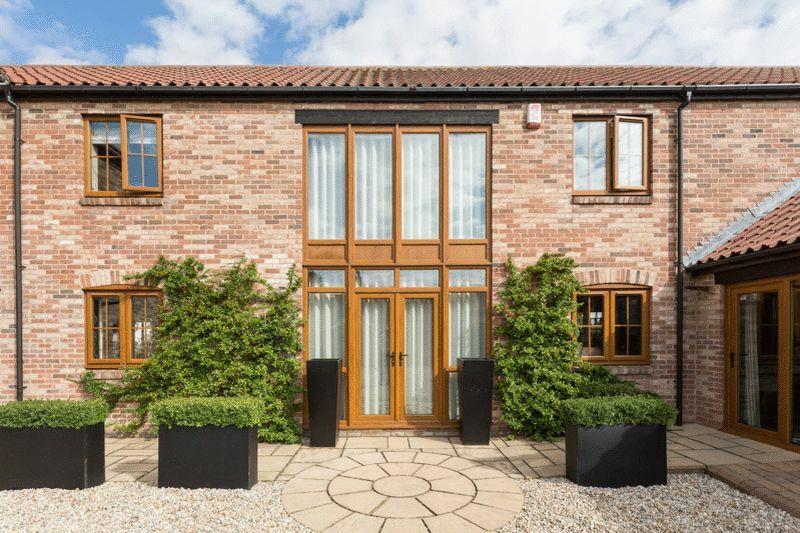 The outer ring road is easily accessible providing ready access to York Railway Station, the Designer Outlet, Monks Cross and Vangarde. 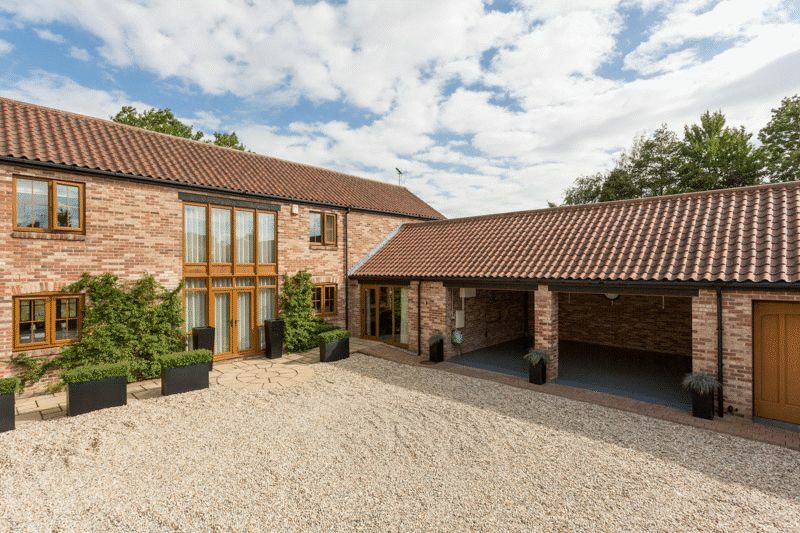 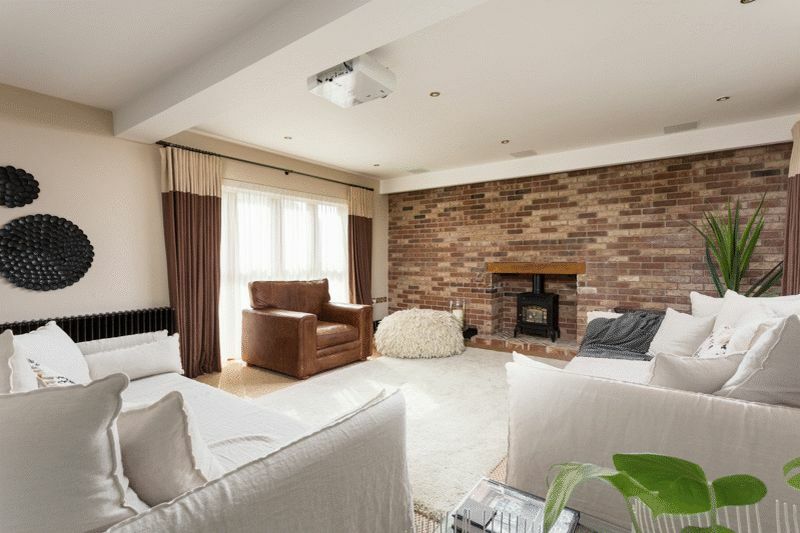 Due to its highly convenient location the village has always proved a popular residential area for those whose business interests take them to York, Leeds, Manchester or beyond. 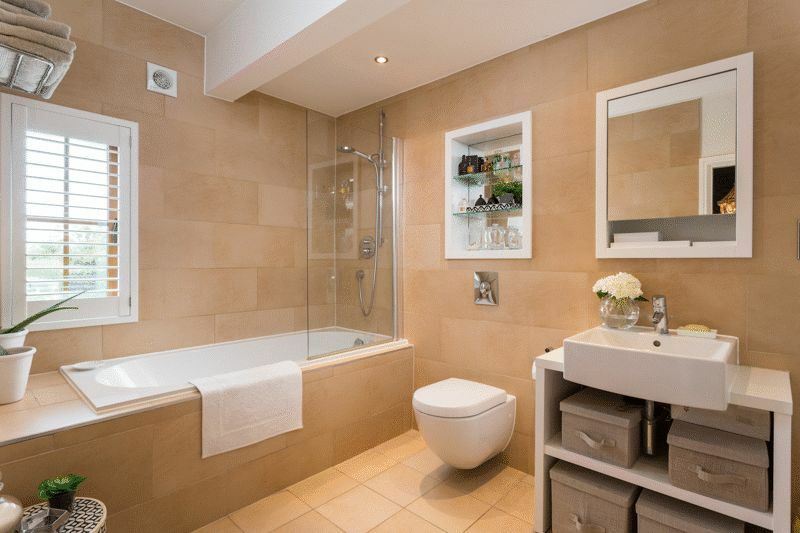 Services: Mains water, electricity and drainage, LPG gas fired central heating. 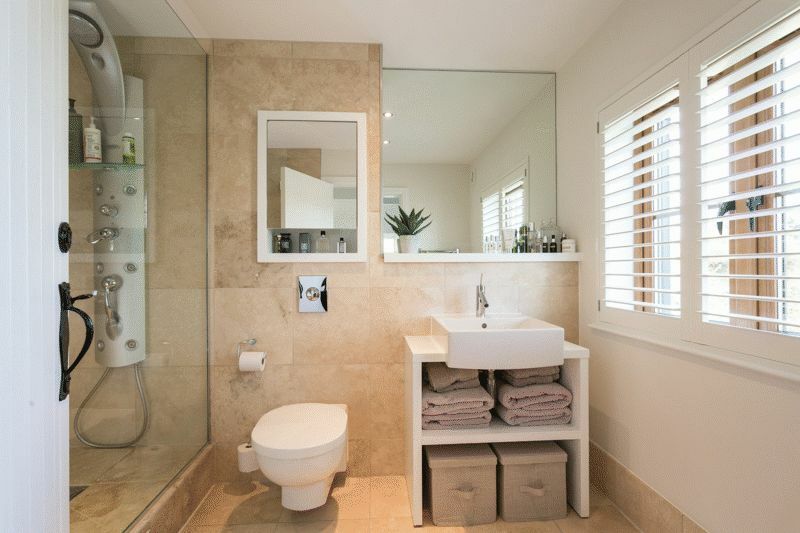 Fixtures & fittings: Only those mentioned in these sales particulars are included in the sale. All others, such as the bespoke book case, surround sound system, home cinema system, fitted carpets, curtains, light fittings, garden ornaments etc., are specifically excluded but may be made available by separate negotiation. Directions: From York take the A64 westbound towards Leeds, turning left at the flyover signposted Colton and Bilbrough Top Services. Follow the signs to Colton and once in the village proceed along the main street and Manor Farm Court is found on the left hand side before you reach Ye Old Sun Inn. The Barn lies directly in front of you.